At Muscle Activation Fitness, we know there are so many techniques out there that claim to “Fix” every person’s problems. There is acupuncture, reflexology, massage, and thousands more that most of us have never heard of before. 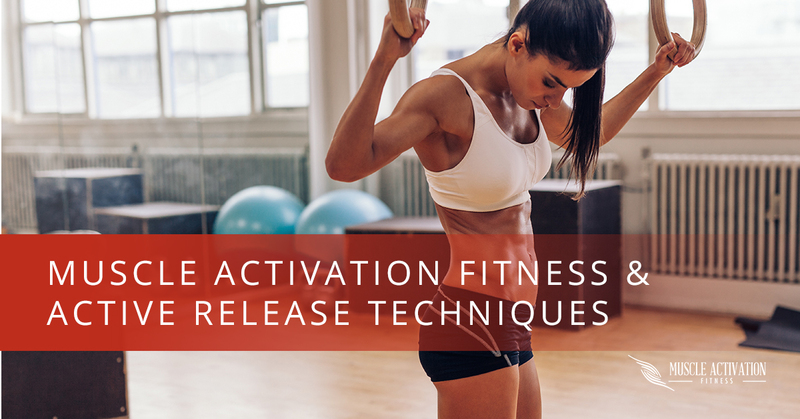 The two techniques that we are going to be discussing here are Muscle Activation Techniques (MAT) & Active Release Techniques (ART). Both are very powerful tools that aim to help you in your pursuit of health and wellness and to possibly get out of pain. First, both techniques’ focus is to restore Range of Motion (ROM) to the client and or patient. The reason such a high priority is placed on ROM is that lack of ROM is an “indicator” of decrease joint health. This decrease in ROM often has a snowball effect to cause other joints to lose their ROM and increase in feeling of “tightness”. This snowball, once rolling, can & does have devastating effects in your quality of life by decreasing your ability to participate in sports/hobbies and activities of daily living. ART tries to restore motion by looking to alter the physiological state of a muscle. For example, if I am lying on my back, and I try to lift my leg off the ground as high as I can, I can feel that my leg is not being allowed higher because of the glutes and hamstrings. This can happen because the glutes and hamstrings have become so tight, that the actual make-up of the muscle has been altered into scar tissue. And it is this scar tissue that ART is trying to “break up” to help restore motion. This is done by a muscle specific “stretch”, accompanied by the therapist applying a counter tension into the target muscle with his/her hands to further lengthen the muscle impeding the motion. MAT believes that lack of ROM is due to muscles inability to shorten into a motion. So, if we take the same example of not being able to lift the leg of the ground, then the MAT specialist would assess to see if there are weaknesses in the muscles ability to perform that motion. The way this is performed is by using specific muscle testing to see if a muscle is “working” efficiently or not. The MAT specialist would then apply force with his hands to the muscle attachment sites. This creates a chemical reaction to restore communication of that muscle back to the nervous system.After restoring the muscles ability to work more efficiently, another assessment would be done to see if the ROM was improved. These are both very simplified versions of two very powerful and complicated techniques. Many of our members have seen dramatic changes in their lives by utilizing one or both of these techniques. That is the great thing about these tools. ART can be used as a short term symptom reliever while muscle activation technique is used to fully stabilize the body’s muscles and continually strengthen what is needed.